TierraCast Antique Silver plated Lock and Key Set. 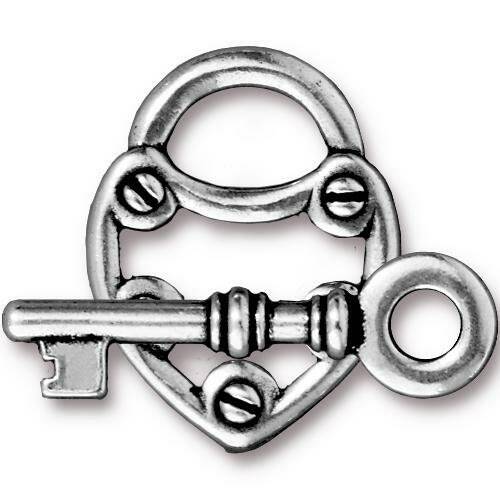 This is a larger size clasp set. Perfect for necklaces and Chunky bracelet designs.